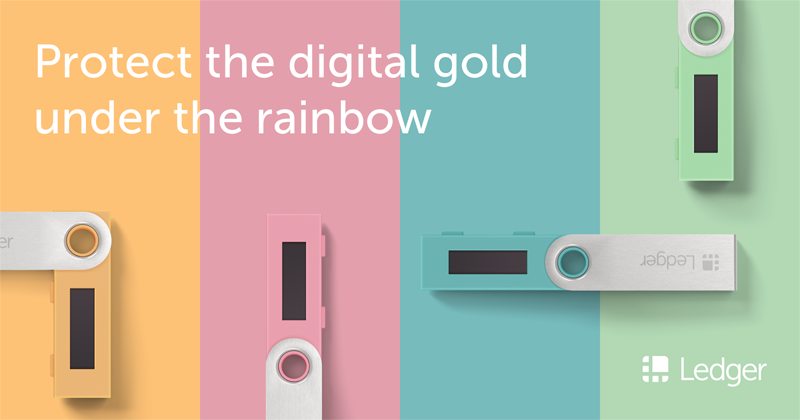 Ledger recently launched the white version of their extremely popular hardware wallet, the Nano S. Now, they have got something new to offer, the Nano S in four bright colors and one with a transparent casing! The new colors are Lagoon Blue, Jade Green, Flamingo Pink and Saffron Yellow. You can also still get the original Matte Black color too. To celebrate the launch of the new products, Ledger are doing a special bundle deal when you buy more than one Nano S! You will receive 20% off of your order if you buy one black Ledger Nano S and any one colored Nano S. You will get 30% off, if you order one black Ledger Nano S and any two colored Nano S wallets. The offer is avaialble until 21st November, but it does exclude the white paper edition of the Nano S, however. Having different colored wallets has many advantages; it makes managing a wide range of assets much easier, because you could dedicate one color to each specific asset or group of currencies. You could also use the different colors for making back ups of your wallets. The possibilities are endless! You can read our Ledger Nano S review to find out more about the wallet. To buy one, head over to Ledger now, before November 21st, to get the deal!